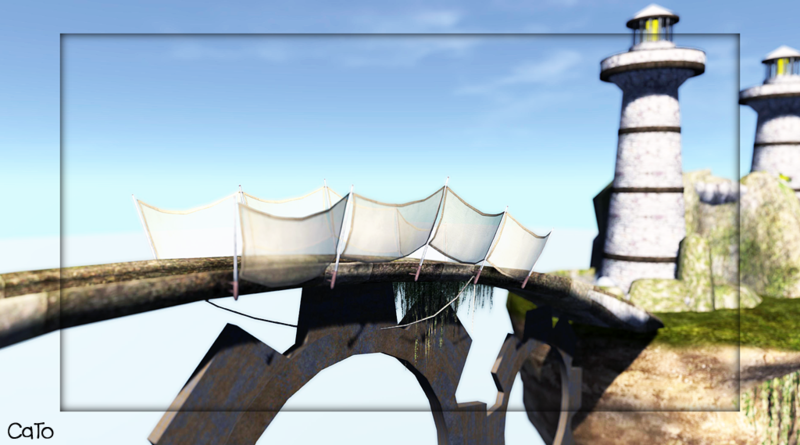 This week, wednesday 18 September at noon SLT, A Clockwork Spiral will open its doors to the public. A Clockwork Spiral (basically The World Goth Fair) is a pretty large event, featuring all items Gothic, Steampunk, Victorian and the like and I had the privilege to have a look this weekend and admire the buildings! The creators are currently busy setting up their merchandise, but if you want to know who is present: this is the list of merchants! A Clockwork Spiral is set up to raise funds for charity: The National Kidney Foundation Inc. 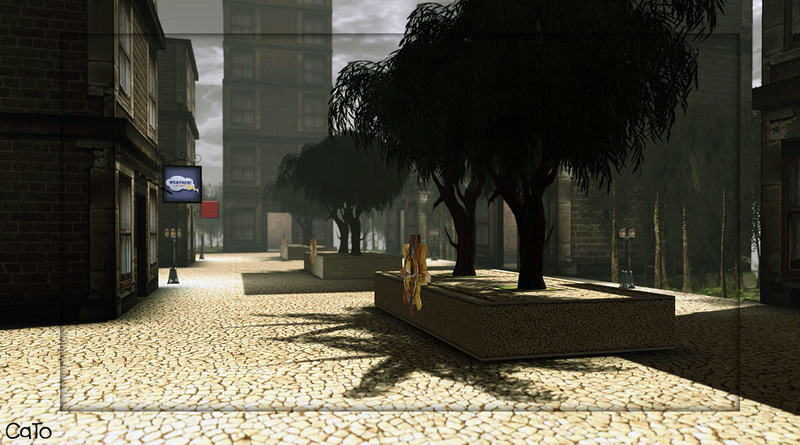 The event will run from 18 – 22 September and I do have to mention that the location is an Adult rated sim. I found it looks amazing. It is a giant floating island, kept in the air by a massive airship (which I did not get on the picture as it was still under construction at the time of my visit) and the shops are located in appartment building, set up in pretty broad streets. There is also a second level with waterfalls and lighthouses, great for taking pictures (if that is your thing!). A lovely set up, detailed and if not for shopping for the good cause than at least go have a look at it! The SLURL to A Clockwork Spiral. But be aware you will not have access till opening on Wednesday! And then there is a Flickrgroup, in which you will probably find lots of pics the coming days, to be submitted by bloggers and visitors!